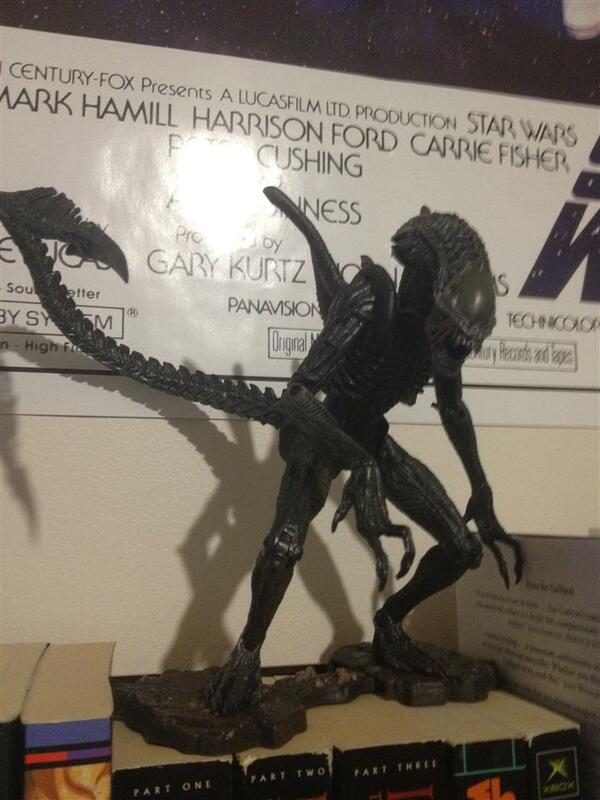 NECA Alien Warrior AVPR collected in Figure Collection by Tayler Rowe - Collected It! Now I consider myself a HUGE fan of the alien franchise and ever since I started collecting, The need for a xenomorph has always been an itch I couldn't scratch. I am very glad I waited years til picking this guy up at a nearby comic shop. The detail is immaculate, the scary vibe is perfect and the articulation is superb. The only issue about this figure is the tail makes it a little off balance and if not positioned correctly can end very badly for this bad boy. Recently I have ordered a 12 inch Alien queen from eBay and am very interested to see if this figure will match the Queens scale. So keep an eye out on this space for that review and don't forget to rate and comment.